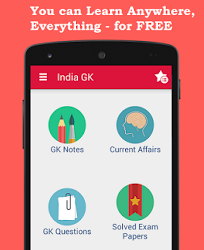 17th, 18th August 2016 Current Affairs MCQs, Quiz, Questions: Current Affairs for August 2016, Daily Multiple Choice Questions (MCQs) for India GK, World GK and current affairs with Collection of daily objective type Question by www.Indiagk.net based on General Knowledge (GK) and General Science (GS) Questions for UPSC, State PSC, SSC, Police exam, Railway exam, SBI, Bank PO, IBPC, SSC, LDC, UDC, Army, Airforce, Navy, Coast Guard, Bank Clerk, TET and all entrance examination with current affairs News, Multiple Choice Questions (MCQs) available on Website www.IndiaGK.net and Android Apps with daily updates:. Which Punjabi writer and Jnanpith awardee passes away recently ? Google launches which video calling app on 16 August 2016? Who develops portable kit for detection of Chromium contamination of water recently ? Who won the APJ Abdul Kalam Award for meritorious services on August 17, 2016? Who becomes first woman wrestler to in Olympic Medal ?